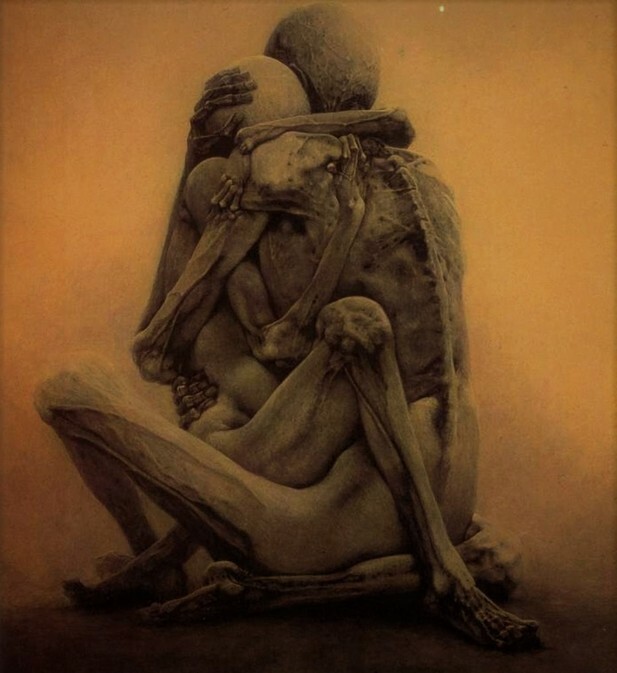 Zdzisław Beksiński (24 February 1929 – 21 February 2005) was a Polish painter, photographer and sculptor, specializing in the field of dystopian surrealism. 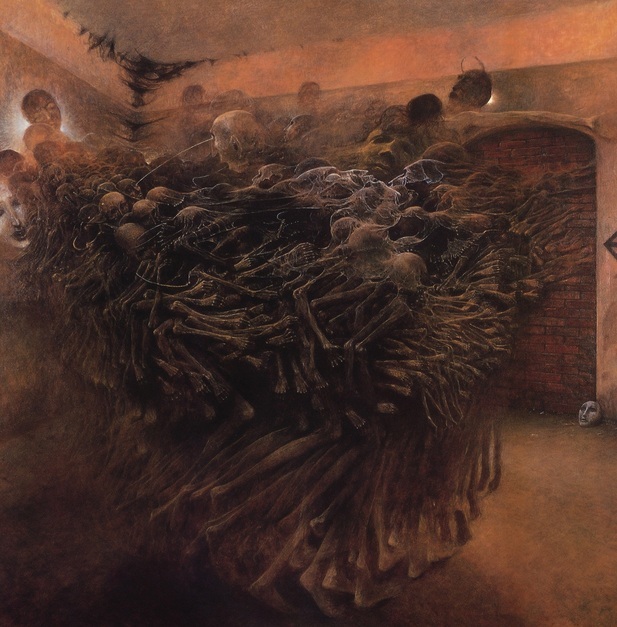 Beksiński did his paintings and drawings in what he called either a 'Baroque' or a 'Gothic' manner. 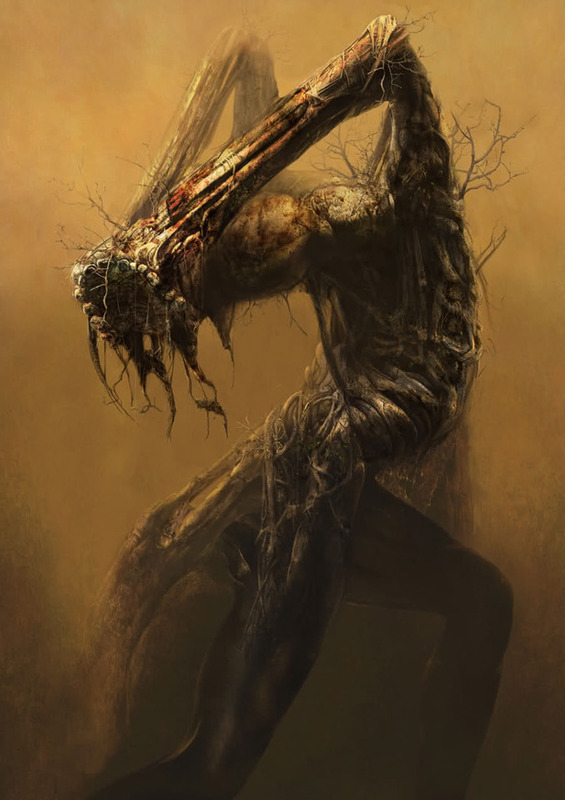 His creations were made mainly in two periods. 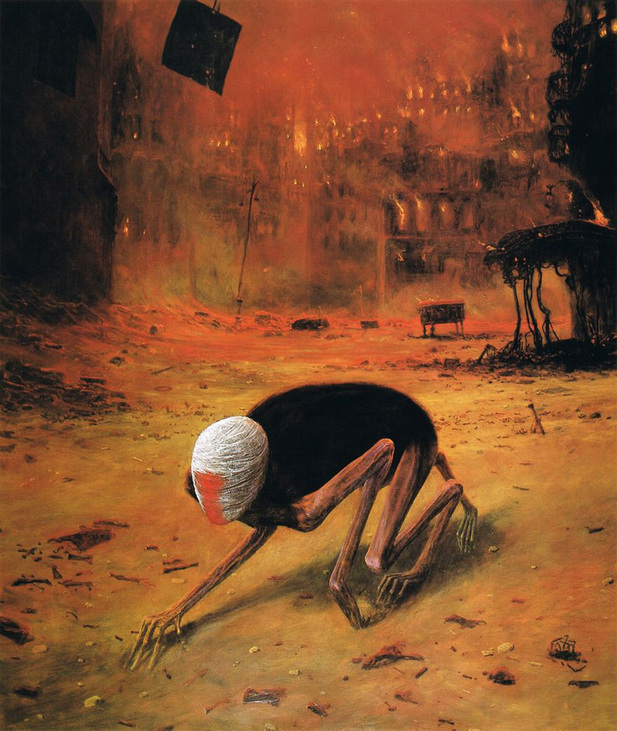 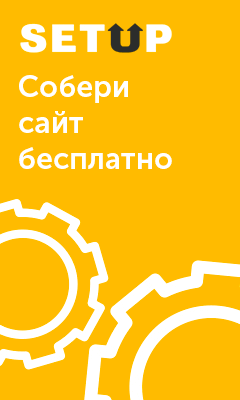 The first period of work is generally considered to contain expressionistic color, with a strong style of «utopian realism» and surreal architecture, like a doomsday scenario. 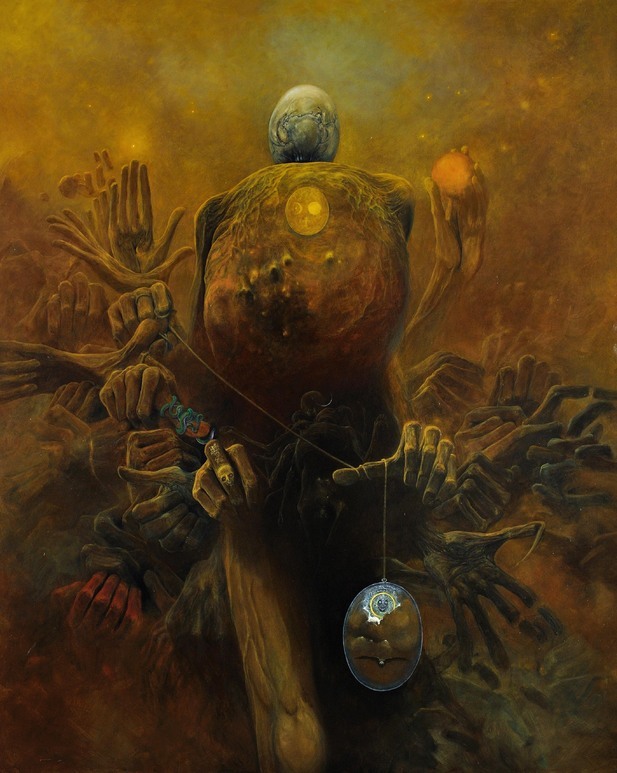 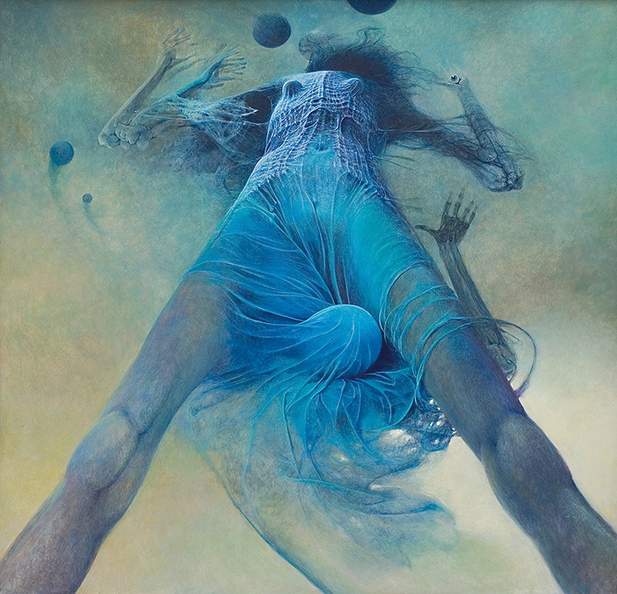 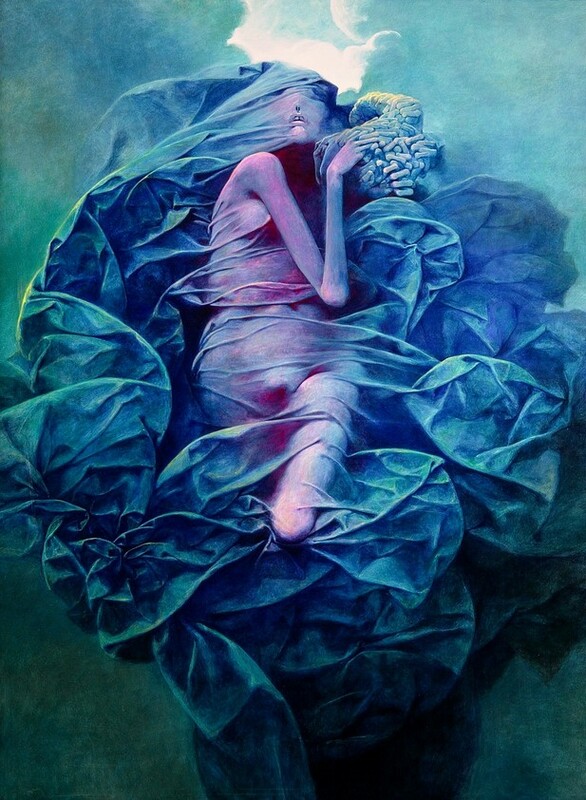 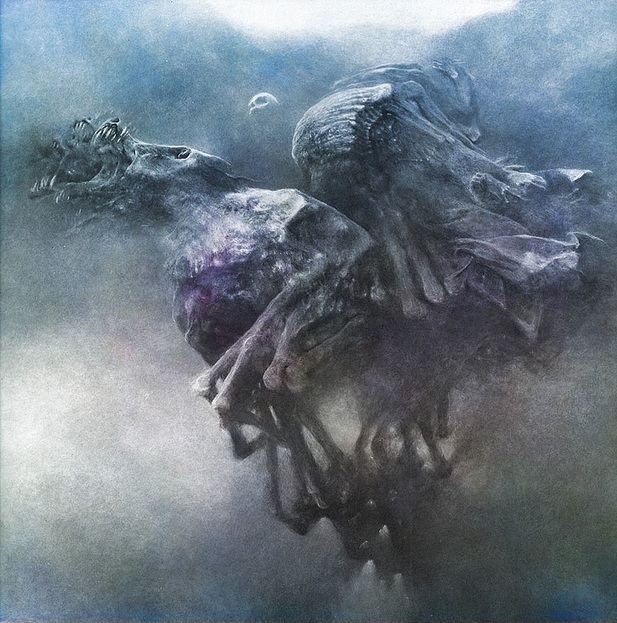 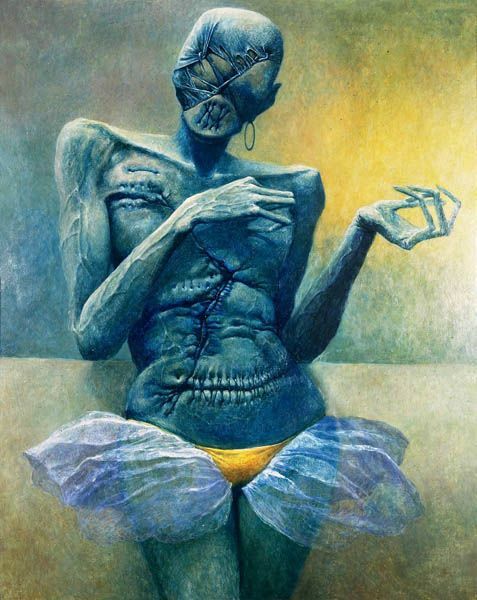 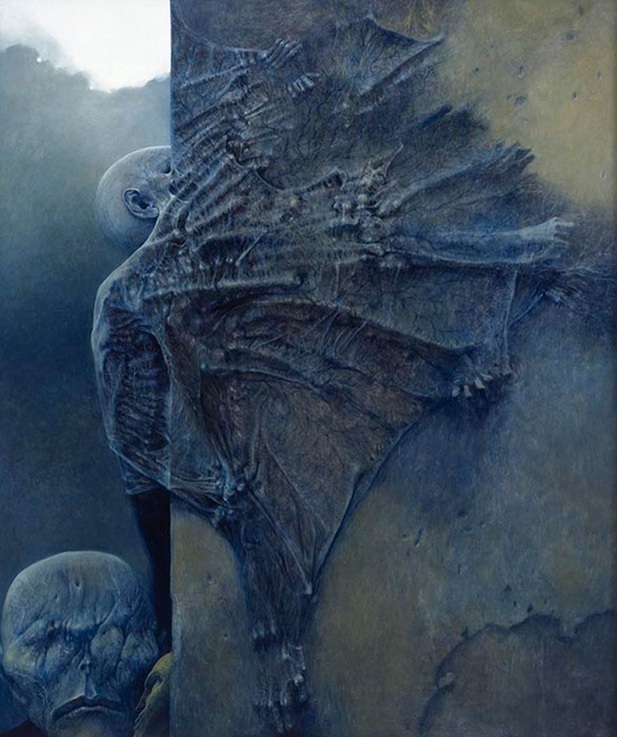 The second period contained more abstract style, with the main features of formalism.Beksiński was stabbed to death at his Warsaw apartment in February 2005 by a 19-year-old acquaintance from Wołomin, reportedly because he refused to lend the teenager any money and threatened him further.